Empowered Living is about putting yourself first, letting go of the “should’s” and choosing what’s right for YOU – every day and in every way. 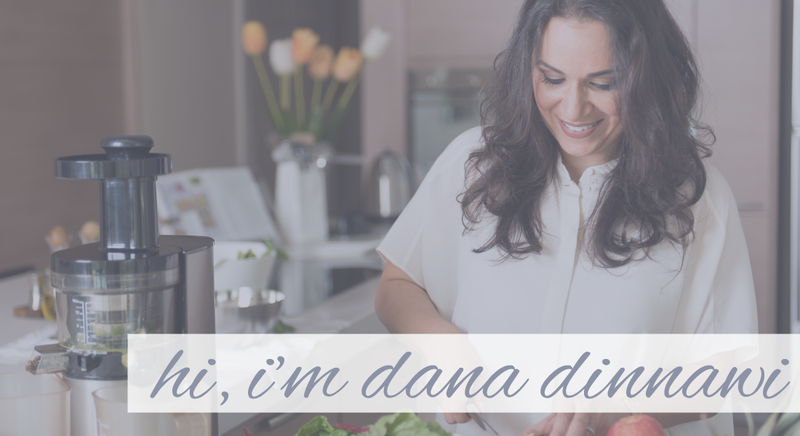 Hi, I’m Dana. I show strong, smart, independent women (like you) how to take back control of their lives. And it starts with our health and nutrition. We can’t possibly live our fullest potential if we’re constantly hindered by those cycles of yo-yo dieting, stubborn kilos or 3pm slumps. By taking charge of our health and nutrition, we take charge of how we feel, what we do and ultimately, how we LIVE. I’m trained and certified as a Holistic Health Coach by the Institute for Integrative Nutrition. But it’s not just a title or a “job.” It’s not about me. We eat for LIFE so you can regain your energy, boost your confidence and focus on creating a guilt-free lifestyle that fulfills every aspect of YOU. It all starts with your body, your health, and your nutrition. Unless you understand how your body works and how to keep it humming at its optimal state with proper nutrition, you won’t have the energy, emotional resilience or mental clarity to do what matters, to experience life and to live your fullest potential. It goes way beyond diet and exercise. It’s an attitude toward LIFE. When you take charge of your health and nutrition, when you realize you don’t have to blindly follow some prescriptive meal plan to be “slim”, when you learn to listen and trust your body rather than other people’s “shoulds” – a world of possibilities opens up. You’ll know in your guts (literally!) and gain the confidence to say “no” when it serves you, to break out of the straightjacket of “it’s how it’s been done” and to live each and every day in a way that fulfills YOU. It’s about choosing yourself first. We all have a choice. You’re in charge. Put yourself back to the top of your to-do list. Unless you’re at your best, you can’t give your best to your loved ones. When you acknowledge that you and only you are in charge of your happiness, you do whatever it takes to take charge of your wellbeing. When you understand what nourishes your body and mind from the inside out, you listen to your gut and make smart choices. When you prioritize YOU and live with intention, you open the door for positive transformation in all areas of your life: your relationships, career, spiritual health, and physical wellbeing. Being empowered is also about taking action and not being afraid to do the hard work. I don’t tell my clients to do what I haven’t done myself. I walk my talk. Here’s my story. Ready to explore what’s possible for you?